Tom Flaherty is a founding partner of Bacon Flaherty, LLC and manages the firm’s commercial and residential real estate practice group and its estate planning practice group. Tom Flaherty has 22 years of experience in providing legal counsel to thousands of sellers, buyers, developers, mortgage lenders and title insurers in all aspects of residential and commercial real estate, including purchase and sale agreements, commercial financing, leasing documents, escrow services, title services, secured financing transactions, asset protection, closings and advisory services. He has guided many successful developers through the condominium conversion process. He frequently serves as a volunteer providing guidance to first time homebuyers in how to avoid the pitfalls that surface for inexperienced buyers in the purchase and borrowing process. He is a senior member of the Real Estate Bar Association (REBA), the preeminent real estate organization in Massachusetts, and the Plymouth and South Shore Board of Realtors. Tom Flaherty leads the firm’s probate and estate planning practice which is focused upon the representation of individual’s, families and business owners in probate, estate tax and charitable planning and execution. He routinely architects and drafts estate plans, including the use of wills, revocable trusts, family trusts, irrevocable life insurance trusts, special needs trust, qualified personal residence trusts and family limited liability companies. He is also a member of the National Academy of Elder Law Attorneys. 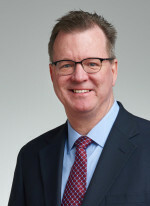 Tom Flaherty graduated from the New England School of Law in 1987. He is admitted to practice law in the Commonwealth of Massachusetts.